When a car owner thinks about purchasing a detailing service (like a wax), it’s often because they want to improve their car’s cosmetics. However, waxing is not just the first step towards a superior shine—it’s also a way to protect a vehicle from UV damage. There are two general types of wax: synthetic wax and natural carnauba wax. 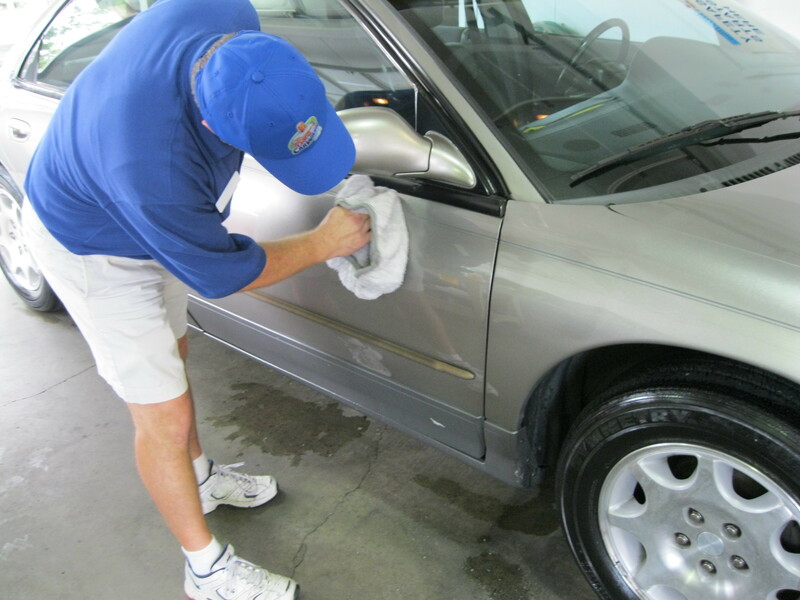 Synthetic wax is easier to work with and provides a paint sealant. Sealants are polymers that, when bonded to a car’s paint, create a shell. These sealants also help protect a vehicle from UV damage— year-round. UV radiation is an issue car owners face during every season, no matter what the temperature is outside. This sealant can make all the difference in the preservation of a car, especially if the car spends a lot of time outside. This is because wax acts as a type of sunscreen for a vehicle’s paint (again, whether it’s hot or cold outside). When a car sits in the sun (even when temperatures are cooler), car interiors suffer. Small damage can include fading upholstery or dashboards. Major damage can include cracking speakers or peeling fabric from a vehicle’s paneling. Minor exterior damage includes fading paint and stains from things falling on the car. Major damage can extend all the way into the engine and air conditioning unit. The best way keep a vehicle safe from UV damage is to take it to get detailing service, including a wax, on a regular basis. Mr. Clean Car Wash’s wax and a full interior detail can help keep a car safe from minor wear and tear caused by the basic natural phenomenon we call the sun. Waxing will not only protect your car’s paint from UV radiation, it will also prevent dirt and grit stains from ruining your car. Finally, waxing helps keep a car looking great. The shine that car owners crave for their vehicles can be achieved with the help of a detail service. Take a look at our full list of services and start protecting your vehicle from the sun on the inside and out.